At the Singapore Tatler Ball 2018, executive chairman of City Developments Limited (CDL) Kwek Leng Beng credited his wife as the quiet but extremely important force behind him. 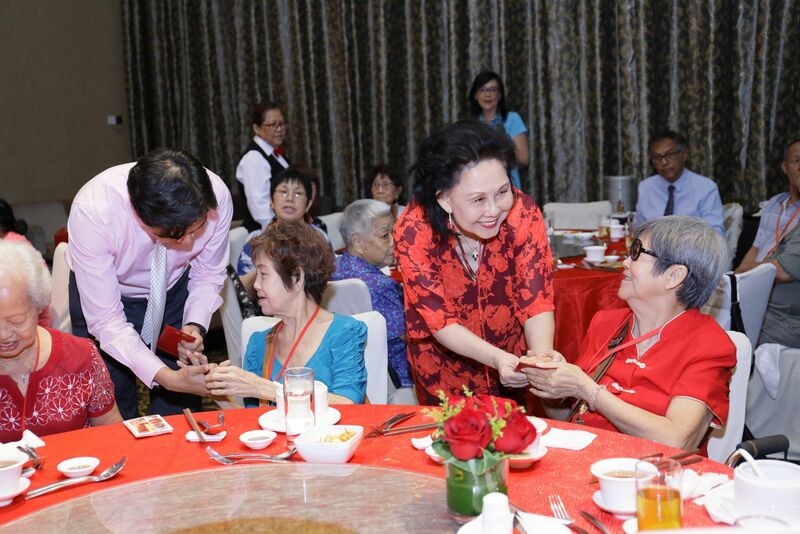 Cecilia Kwek stepped into the limelight on February 1, leading a group of CDL executives and volunteers from City Sunshine Club (CSC), the group's employee volunteer, unit to usher in the Year of the Pig with 90 seniors from Henderson Home at a luncheon. Held at Grand Copthorne Waterfront Singapore, the event was hosted by Cecilia, who was joined by group general manager, Chia Ngiang Hong; group chief strategy officer, Kwek Eik Sheng; and group chief financial officer, Yiong Yim Ming. The old folks feasted on a spread of festive dishes and were entertained by local comedian and stage veteran Hossan Leong, who was also joined by CSC volunteers onstage for a song-and-dance segment. At the end of the luncheon, Cecilia presented the attendees with mandarin oranges and red packets, wishing them good health and prosperity. The beaming expressions on their faces were an accurate indication of how much the seniors enjoyed themselves that afternoon. Held since 2002, this festive gathering has become an annual tradition and something that the old folks look forward to. This year marked the 12th year that CSC has organised the luncheon for beneficiaries from Henderson Home.